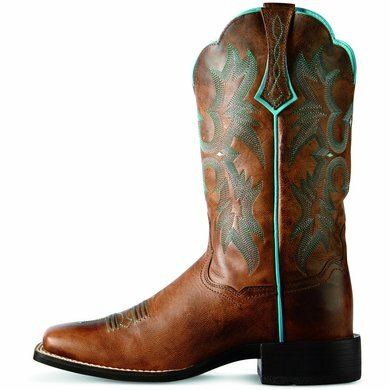 The Tombstone is a full grain leather boot with a 28 centimeter shaft. 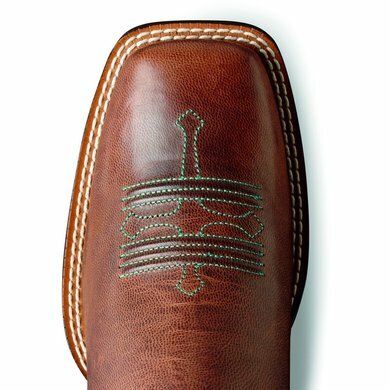 Leather lining for comfort, with a Duratread sole for comfort, this boot is just as suitable in the city as on the plattenland. 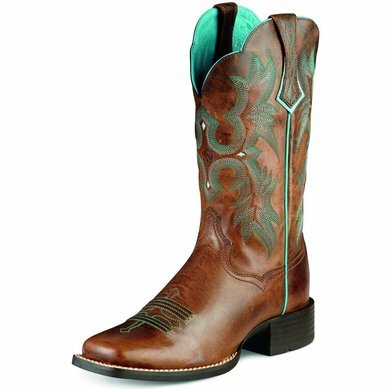 The Ariat 's ATS® technology also provides optimal stability, comfort and performance you can rely on. Ariat's® exclusive and Advanced Torque Stability (ATS®) technology supports and softens the foot as you move, promotes good posture and reduces fatigue, allowing you to work or enjoy the whole day. Very nice boot. Due to other reviews half a size larger because of high instep. The size is now a bit large, but does not slip. 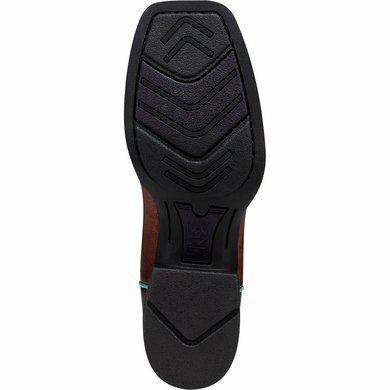 The instep is very tight, but becomes smoother after half an hour of wearing. Not yet on. Find it a wonderful boot! There is a super sole, very soft. In the beginning they are a bit hard but soon they are fantastic!